ITHACA, NY (NASA PR) — Tenacity and drive are hallmarks of Cornell University’s Cislunar Explorers Team. 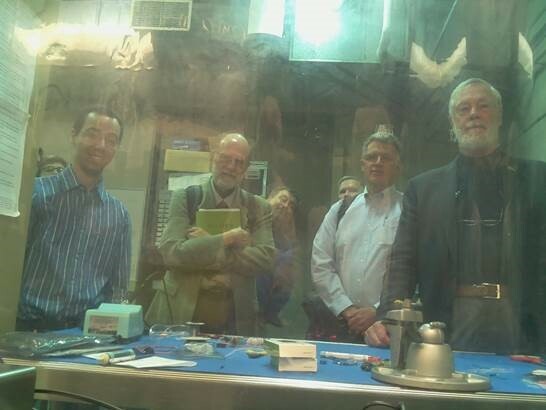 But there is another key factor in building and testing their spacecraft: Just add water. 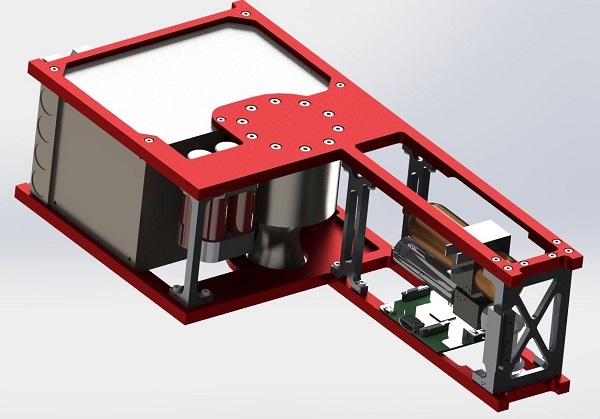 The team’s CubeSat propulsion idea focuses on a water-electrolysis propulsion system. By zapping H2O with electricity, the bond between hydrogen and oxygen can be overcome, decomposing the liquid into a gaseous mixture that readily combusts. Cislunar Explorers’ concept consists of a pair of spacecraft on a mission to orbit the moon. These two spacecraft are mated together as a “6U”-sized box – small enough to fit in a briefcase, explains Doyle. After deployment from the launch vehicle, they will split apart and each give their initial rotation in the process of decoupling. 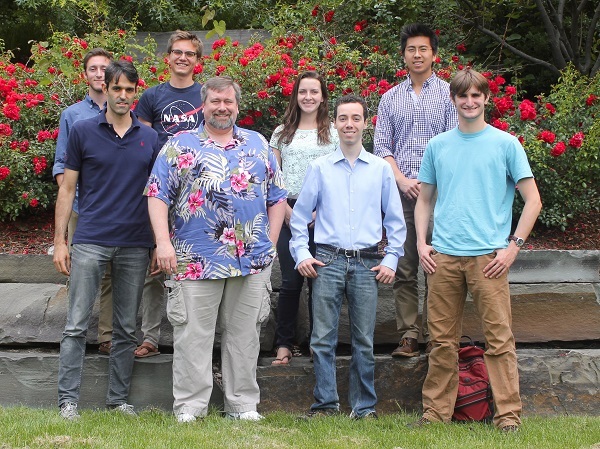 Members of the Cislunar Explorers team, back row from left, Jake Harburg, Hunter Adams, Emilie Camera, Alex Wong. Front row, from left, Filipe Pereira, Mason Peck, Kyle Doyle, Max Maloney. The novel propulsion system using inert water will be tapped to enable the Cislunar Explorers to carry out a gravity assist with the moon, and then be captured into lunar orbit. 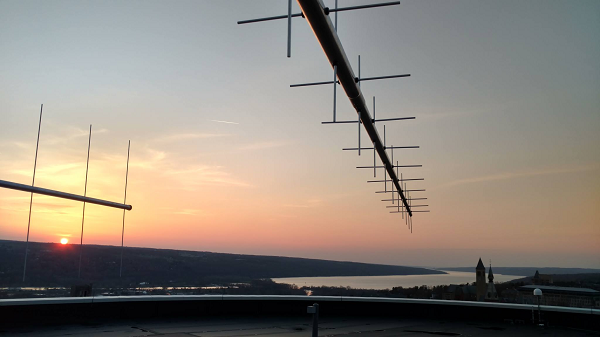 Spacecraft maneuvers will be directed by a ground station at Cornell. “We see this challenge as an opportunity to democratize access to space,” said Mason Peck, associate professor at Cornell and the principal investigator for Cislunar Explorers. “First of all, it’s exciting for all of us to participate in lunar exploration, even to a small degree. But more than that, this project may enable many others to follow in our footsteps,” he said. Peck said that the Cornell team is making all of their hardware and software designs available online. Doing so allows other universities and research organizations to build their own versions of their Cube Quest entry. “In the longer term, if this water-based propulsion technique is successful, we hope it will kick start the use of in-situ resources for refueling spacecraft for commercial purposes or science,” Peck said. Doyle underscores the technical issues surrounding water-electrolysis propulsion. Testing of Cislunar Explorers’ hardware is largely being done on campus, including spacecraft electronic circuitry “to make sure they all play nice with each other,” Doyle said. Similarly, a phase two safety review is being closed out. Turning his eye on the future, Doyle said he sees their Cube Quest spacecraft as a pathfinder. The water-electrolysis propulsion system for Cislunar Explorers can’t refuel itself. This is why the aliens always invade Earth for its water.